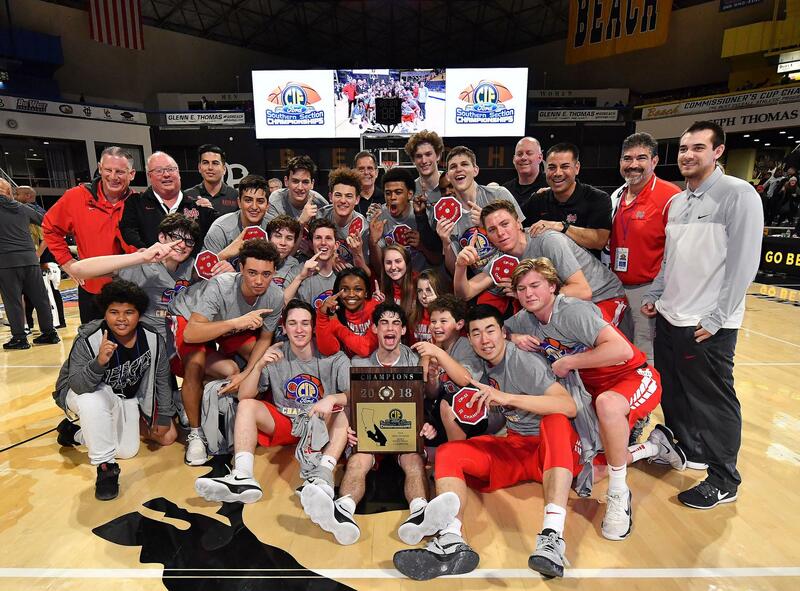 The Mater Dei Boys' Basketball program is renowned throughout the nation. Numerous victories include a National Championship in 2013-14, 11 State Titles, 23 CIF-SS Titles, 16 Southern California Regional Titles and 34 League Titles in 35 Years. Coach Gary McKnight has cultivated this outstanding program for 34 years with a winning record through the 2017-18 season of 1107-105. The Mater Dei Boys' Basketball program offers multiple teams: Varsity, Junior Varsity, Sophomore, Freshmen Red, Freshmen Gray and Freshmen White.